"I recently attended a bris where Rabbi Lebowitz was the mohel. I am a physician and often find myself in the front of the room for these events and able to see the procedure when most guests naturally retire to the back. Without an ounce of doubt, Rabbi Lebowitz's surgical acumen for this procedure is far, far greater than that of the regular medical office or hospital-based pediatrician's circumcision skills. The baby and surgical field were set up perfectly, the procedure took no more than 20-30 seconds, and the baby's cries barely audible. Compare this to the typical 15-20 minute pediatrician-performed office procedure with a screaming baby strapped to a "papoose board", parents nowhere in sight, and significant blood loss. I'd hire Rabbi Lebowitz to be the mohel for my child's circumcision any day, even if I weren't Jewish. 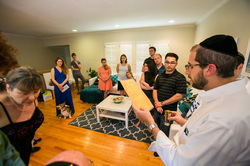 Yasher Koach, Rabbi!" Please contact me before or after your son is born to arrange for the bris. A Bris is a ritual circumcision, that is performed by a mohel. It transforms the mundane surgical procedure of pediatric circumcision into a deeply memorable and religious experience for the baby and the entire family while maintaining the highest standards of safe medical procedure and sterility with an aesthetically pleasing outcome. 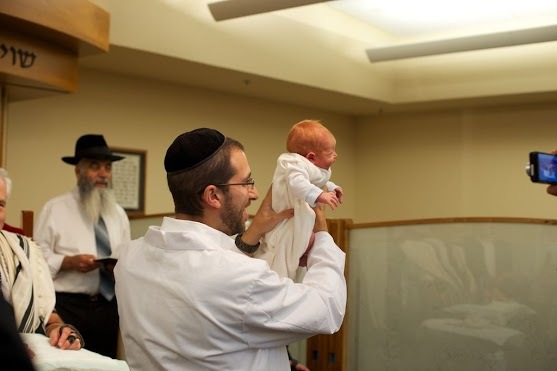 In addition to being the Educational Director of the Jewish Study Nework in Palo Alto, I take pride in being a professional mohel that has done bris ceremonies for many years throughout the Bay Area. I will demonstrate care and compassion for your baby boy, while making the ceremony warm and meaningful for all those attending. Please do not hesitate to contact me either by email or by calling my cellphone. I am happy to discuss with you the format of the ceremony and help alleviate any concerns you may have. I wish you, your family, and your new baby boy a beautiful, healthy, and meaningful life together. "Rabbi Lebowitz is a superb Mohel in every conceivable respect. His knowledge from both the Halachic and medical standpoints is outstanding in its breadth and depth. Rabbi Lebowitz's performance of Bris Milah is praiseworthy for his supreme skill, deftness and sensitivity. As important, Rabbi Lebowitz's manifest devotion to the kedushah of the mitzvah of Bris Milah permeates the entire simcha, to the spiritual enrichment of us all. As such, Rabbi Lebowitz merits the highest possible recommendation." Robert C. Bocian, M.D., Ph.D., F.A.A.A.A.I.